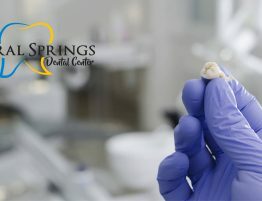 Every member of your family will have unique dental care needs which is why it is important to consider a dental care center the next time you need to visit a dentist. 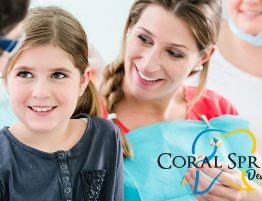 The oral health of you and your family can influence the overall health of a person and if you live in Coral Springs you are just in luck. 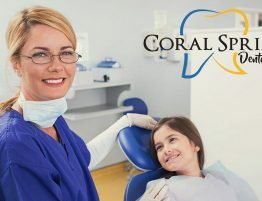 Coral Springs Dental Center is a fully staffed and state-of-the-art dental group that provides a professional and serene atmosphere for every patient. Whether its a child or the elderly our specialized staff can treat a wide range of dental needs. Be sure to follow any of the links below to learn more about the dental treatment services we provide. 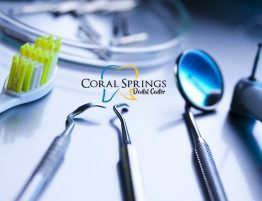 If you are ready to book an appointment with the top dental care center in Coral Springs then be sure to contact our friendly staff or call 954-344-8800 today. We are also proud to have extended our working hours to accommodate patients with a busy schedule and remain open on Saturdays from 8 am to 2 pm. Please be aware that slots tend to quickly fill up so contact us quickly. The following article serves to highlight our dental services and how our trained specialists can assist you and your family. 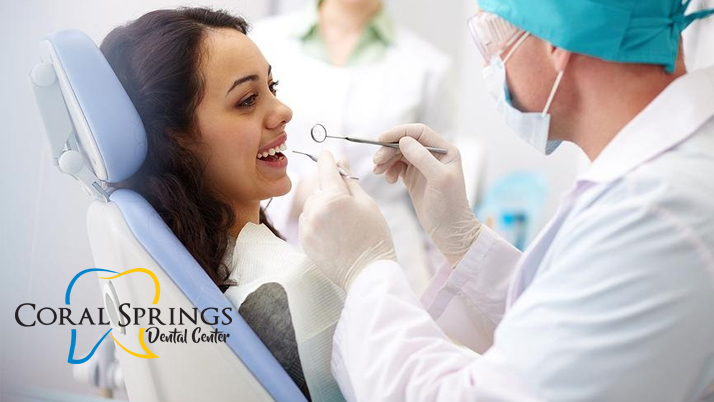 With a highly skilled team of dental specialists and specialize in a wide range of oral health disciplines. 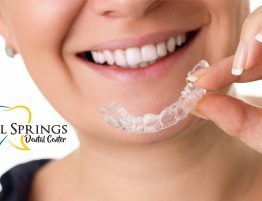 In recent years more and more adults have turned to braces and now have the opportunity to use alternatives to traditional metal braces. 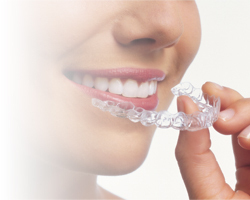 Whether its children or adults our orthodontics department can provide Invisalign services and well as a number of other options to give you the perfect smile by straightening uneven teeth. When you or a family member requires a root canal to save a tooth and prevent a tooth extraction you can depend on our dental care center to provide the very best endodontics services. Root canals are often required when an endodontist wants to prevent a tooth extraction and its potential complications. Gum disease has the potential of causing infections which could lead to permanent tooth damage. Periodontics can prevent this through regular teeth cleanings to prevent gum disease and diagnosing future dental issues. If tartar and plaque buildup has become too severe then a periodontist may recommend implants for the patient. Our pediatrics department is unlike any other dental care center and we take pride in keeping our child patients comfortable, entertained, and educated on the importance of good dental hygiene habits. 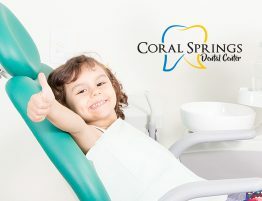 The pediatric dentists at the Coral Springs Dental Center are trained in child psychology to further help ease our child patients during treatment. Oral surgery can sometimes become necessary and a good example is wisdom teeth removal and tooth extractions. A patient may also require implants for cosmetic reasons and can help improve a patient’s self-image and self-confidence.